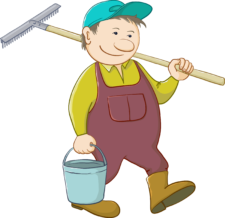 We hold regular yearly Neighborhood Clean-Ups. Assembly of God is kind enough to allow us the use of their parking lot on Boonville Ave. for this purpose. Frequently, we partner with the City of Springfield to do these Clean-Ups. Curb-side pick may be available for a small donation. Contact Hovey House (417-942-2456 or email: hovey.house@yahoo.com) for more information. PHOTOS or STATISTICS would be a nice edition to this page.